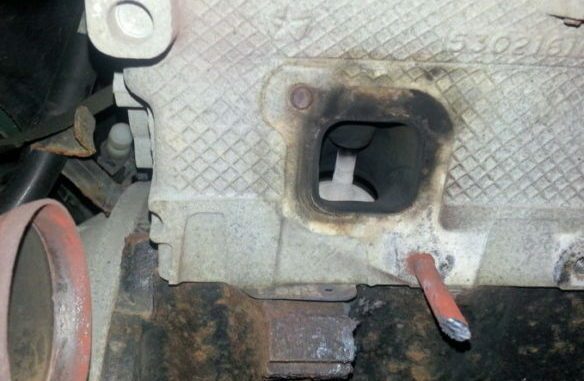 Exhaust manifold leaks can be dangerous as well as cause other costly problems. So, The primary goal of your vehicle’s exhaust manifold is to direct the gases to a safe place. The safest place is somewhere outside of your vehicle, far away from you. 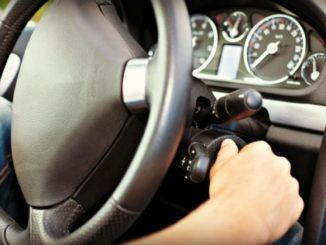 Your exhaust system’s secondary purpose is to muffle the sound of the explosions that are happening inside your engine. Over time, the fumes leaking from a cracked exhaust manifold will damage surrounding components, and could even cause a fire. When they first come out of the engine, exhaust fumes are extremely hot. They do cool gradually as they reach the tailpipe at the back of the vehicle. If you smell exhaust from the engine compartment and hear a ticking noise, you could have a leak. If you are at this point you need to find the issue before major damage happens. Look for black soot around the manifold and downpipe connection. 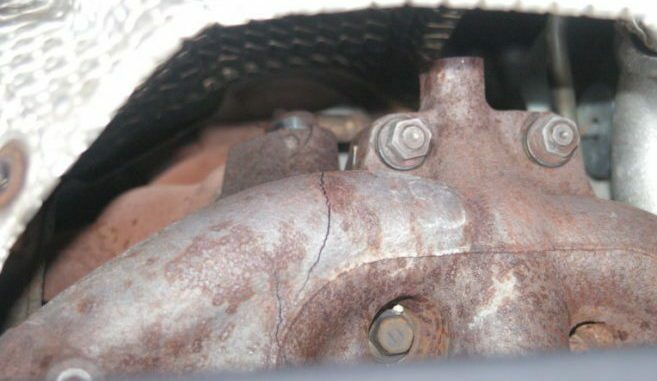 Leaks in a manifold are often cracks in the metal due to the intense temperatures of the engine. Cracks may start out as small as a hairline crack, which may be noticeable when the vehicle is first started. 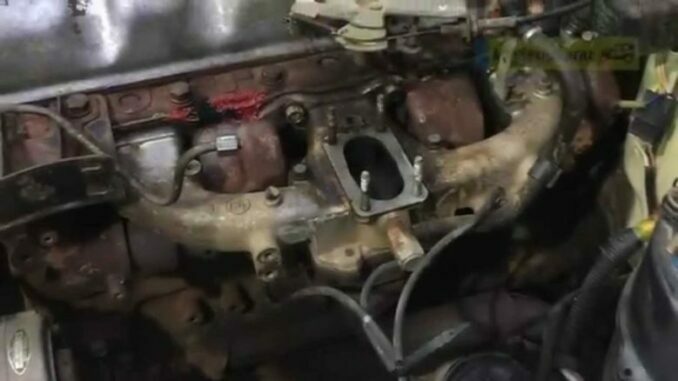 Once the manifold heats up quickly, the crack might self-seal as the metal of the manifold expands; the noise coming from the crack then becomes less noticeable. However, after time, the hairline crack will begin to increase in size due to constant heating and cooling. The manifold gasket is another area of concern that has to sustain the expanding and contracting of the heated metal. Its symptoms may start similar to the hairline crack and could inevitably become a larger problem. 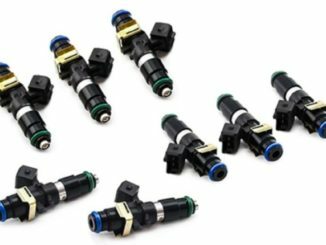 A cracked or leaking manifold will create less back-pressure, poor performance in the engine and decreased fuel efficiency. It can also damage other exhaust components downstream in the exhaust system. Thing may include oxygen sensors, and compromise the efficiency of the catalytic converter. If the leak is occurring in the manifold gasket or the manifold flange gasket area, excessive heat can build up. Consequently, This can quickly burn an exhaust valve. A leak downstream before the catalytic converter can trick the oxygen sensor into thinking the engine is running lean. As a result, causing the computer to dump more gas into the cylinders. A damaged exhaust manifold can sometimes cause burnt gasses to pass backward and re-enter the combustion chamber. That process will reduce efficiency between cycles. 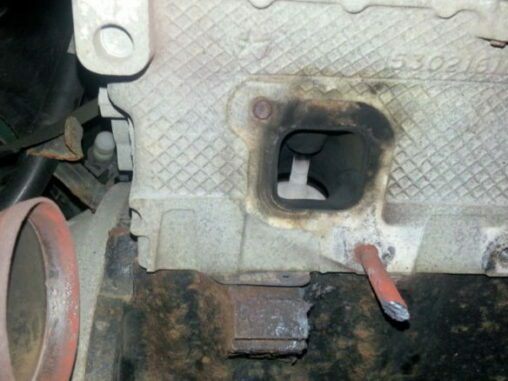 You might experience a reduction in power from the engine if this occurs. These factors all depend on where the leak is located in the exhaust. The further away from the engine and the catalytic converter the leak is, the less chance damage can happen. Also, If you have a leak around where the EGR pipe attaches to the exhaust manifold bigger problems can occur. 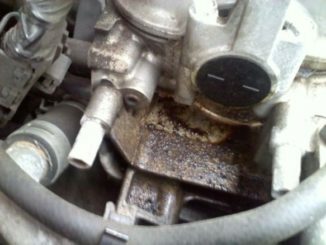 If a leak develops in the area leading to the EGR valve, it will not let the EGR function properly. Also, EGR valves allow burnt exhaust gases to reenter the intake manifold for a second time. As a result, causing a rich fuel condition by reducing the amount of oxygen. The rich fuel condition brings down the internal temperature of the engine cylinders. If your car’s exhaust manifold has a leak, it will have an impact on the pressure in the exhaust system. As a result, reducing fuel economy and leading to higher emissions. If a leak develops in the exhaust close to the engine, this can have a big impact on fuel economy.